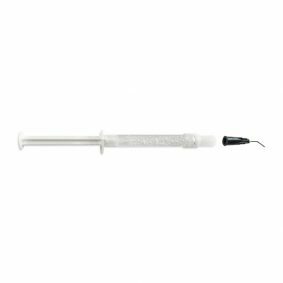 We have a range of teeth whitening kits available for use with or without a whitening light system and with or without super seal custom made lab trays. 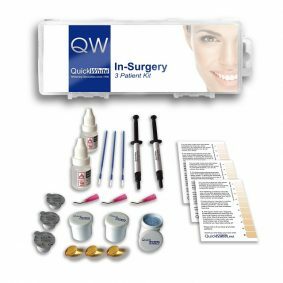 Quickwhite whitening kits are designed and made in the UK to be effective and economical, enabling practitioners to provide consistent whitening at a competitive price; all whitening kits also abide to all UK & European teeth bleaching regulations. The effective and trusted whitening also features a PH neutral formula. 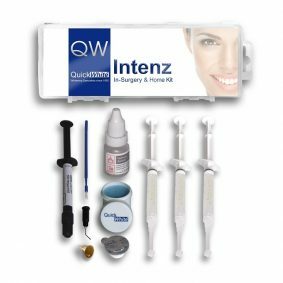 Below you will find a range of teeth whitening products for in-surgery and home procedures. Click on the products to find out more. 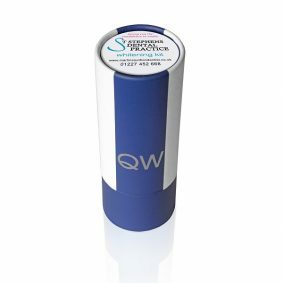 “We at St Stephens dental Practice have been using whitening products from Quicklase for about 5 years now. The results are always excellent with many very happy patients using both the in surgery laser assisted technique and the home based mouthguard system. We are also very pleased to be using the intraoral camera and their Dental laser. 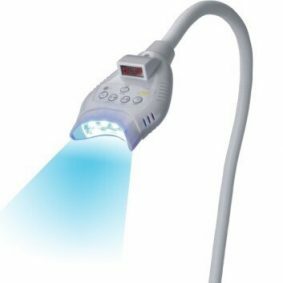 We especially like the laser for its ease of use in soft tissue surgery and for in surgery bleaching. It is good to know this is a locally produced device, made in Thanet, Kent. 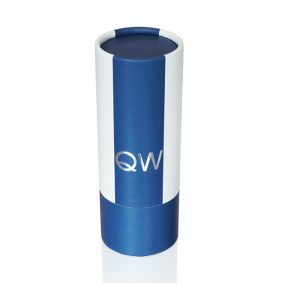 The service from Quicklase is first class. They are knowledgeable about their products and their use. Their delivery is very fast and the products arrive very well packaged. We are especially keen on their “personally” packaging for my surgery for bleaching syringes. 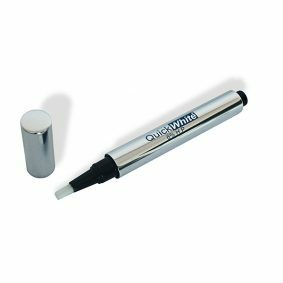 Patients have been very impressed with this as well as the quality of the product and its syringe.